God likes working with people who can recognize they’re not complete yet. Everyone must be brought to a point of humility — a place where we know how much we need God — before we can start growing. 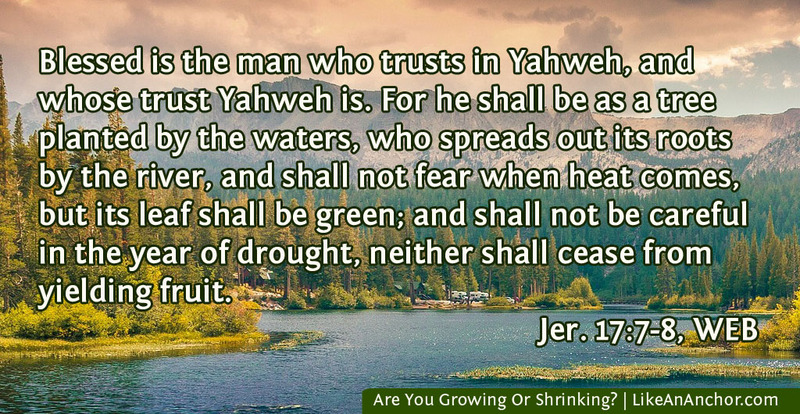 The Lord will pay attention to (H5027, naba, “look”) to the people who are humble, needy, and afflicted (H6041, aniy, “poor”), have a stricken, maimed heart (H5223, nakeh, “contrite”), and who have fearful reverence for His word (H2730, chared, “trembles”). This is where we start growing. Scripture frequently uses farming and plant-related imagery to illustrate what God is doing in us and what He wants from us. Plants are either growing and changing or they’re dead. They might go dormant for a little while, but even then they’re still active in the sense that they’re waiting for the next period of growth. We need to be like that as well. The Hebrew word for “planted” is shathal (H8362), which also means “transplanted.” This isn’t a tree just growing by itself. It was put there deliberately, showing that God places us in the sort of situations where we can grow into blessed and happy people. The “blessed and happy” part doesn’t come easily, though. 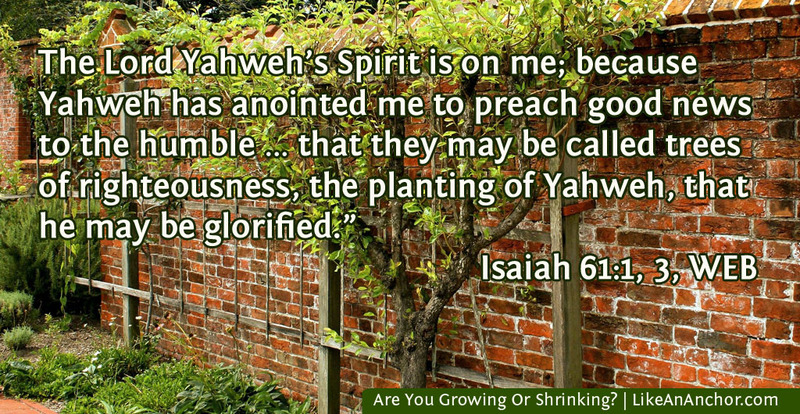 Isaiah talks about the Lord preaching, healing, liberating, and comforting His people so “that they may be called trees of righteousness, the planting of Yahweh” (Is. 61:1-3, WEB). He has to transplant us out of the choking, stiffing places we’re in and get our roots established in Him. Then we can really start growing. 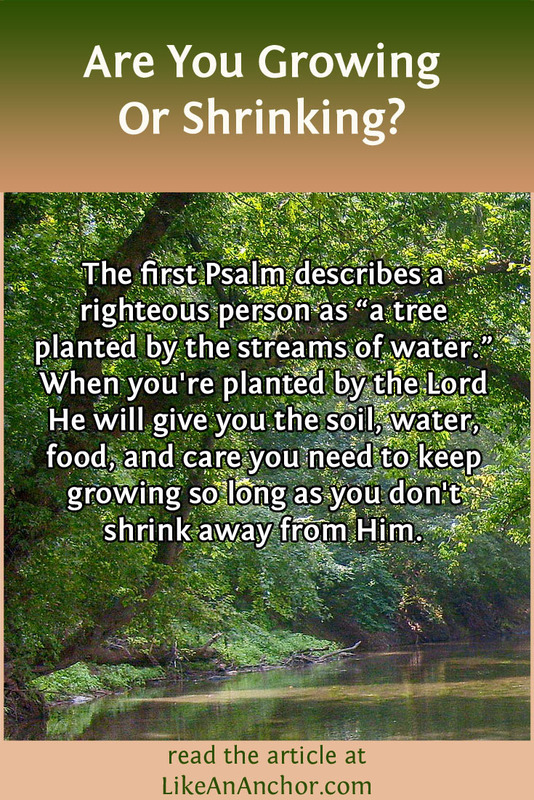 When you’re planted by the Lord He’s going to take care of you, shaping your growth as a careful farmer or gardener does with their favorite plants. Pruning shapes a plant and encourages healthy new growth. It also removes the weak, diseased, and “crossing” branches (the ones rubbing against and damaging their neighbors). The Father does the same sort of thing with the church that’s rooted in His Son. The people who are growing receive care and encouragement to keep growing even if they’re only producing a little fruit right now. But the people who refuse to remain in Christ aren’t good for anything. They dry up, don’t fruit, and must be cut out (John 15:3-8). Paul uses an olive tree to describe how non-Israelites can become part of God’s chosen people. Picture Biblical Israel as an olive tree transplanted, cultivated, and pruned by God with Him as the root. Under the New Covenant, anyone can be “grafted in” to this tree (Rom. 11:16-18). God wants active, fruitful faith in those He has made part of “the planting of the Lord.” We need to continue growing in His goodness. He’ll give us the soil, water, food, and care we need to become what we’re meant to be so long as we don’t shrink away from Him. ← What’s Behind The Facade? Just in time, I’m at a point of grow or shrink and this is encouragment to keep going since God knows exactly what’s next for me.